Garage Door Repair Sacramento, CA | 530-217-6130 | Call Now !!! With Garage Door Repair Sacramento, you always get a fast professional fix forany hardware, opener and panel problem. 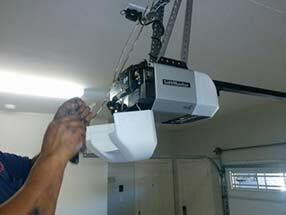 The outstanding services of garage door repair form the basis for safe garage door operation. We promise thorough maintenance, first-class repair parts, full support to any and all your emergencies and same day repairs for all residential and commercial garage systems in California. Same day services for garage doors. Experienced technicians. Excellent work. Our companyis committed to providing excellent customer service and the best results on every call.We offer a wide range of services, from installation and repair to regular maintenance to ensure your garage door is in perfect working order. We install and repair all doors to industry and stringent brand specificationsto ensure your door will work in its best shape, problem free, for many years to come. When we install a new door or replace an old one, we make sure that every box is ticked and the job is done correctly. Our garage door installation service includes all stages and parts – from measuring your garage to programming your new Genie opener. We work with top brands in California, so perfect results are guaranteed. When you notice something has gone wrong with the appearance of your door, such as a missing or broken panel, you can depend on us to help. We carry out many different types and brands of replacements, and can help you find the right one, so your door looks like new. If you notice your door isn’t opening as well as it used too, making strange noises, or doesn’t reverse as quickly as it used to, give us a call. Chances are it’s a small part that needs to be replaced, and we can make sure that it is done properly so it doesn’t happen anytime soon. 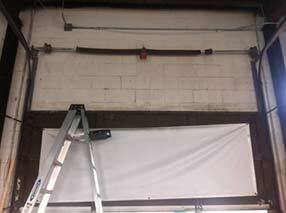 Everything from springs and pulleys to garage door cables replacement can be carried out. When something big happens to your door, be sure to give us a call for an emergency appointment. As an emergency garage door company, we will be there as quickly as possible to assess the problem, come up with a solution, and fix the problem on the spot. Our customers depend on us for a consistent and reliable service, and that is what we give. We offer regular maintenance checks throughout the year. It’s best to notice small problems before they become huge ones, so regular maintenance checks are a great idea. Our technicians can identify and fix any problem during a routine check, and you can rely on us for honest and professional evaluations. So whatever the problems with your garage door give us a call at Garage Door Repair Sacramento and we will send a trained technician to assess the situation. Issues go away completely in no time with our expert garage door repair services. Our specialists in California provide the perfect fix to all hardware parts, panels, and openers in addition scheduled maintenance and replacement. Our noteworthy company covers the entire area of Sacramento. Learn which tools, materials and techniques are best for cleaning the panels and metal parts of the garage door including the tracks, rollers and spring. Follow the advice carefully for excellent results. 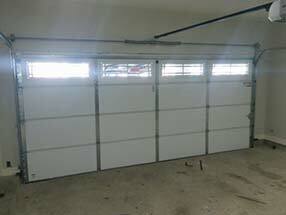 Regular electric garage door replacement is also necessary as it increases the level of security in a garage. The garage should also be kept clean and free from dirt. Screw drivers are a very good option for balancing and reducing the noise produced when opening and closing your garage door.